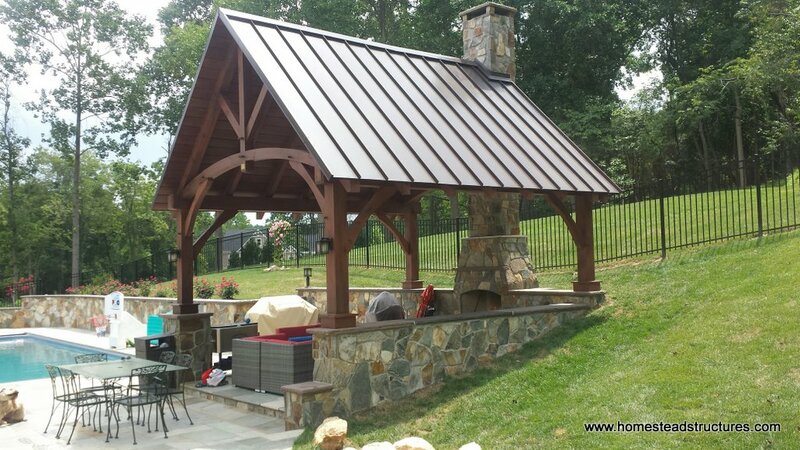 Bring the natural warmth and beauty of wood to your home with a Timber Frame Pavilion. 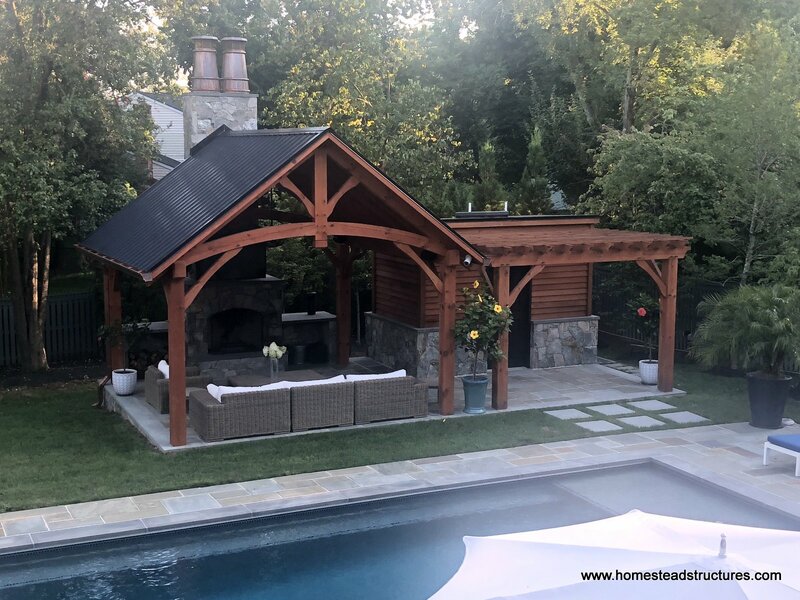 Combining state of the art precision with centuries old craftsmanship, a Timber Frame Pavilion will give you lasting beauty and years of enjoyment. Creating an organic living space in your backyard has never looked this good. 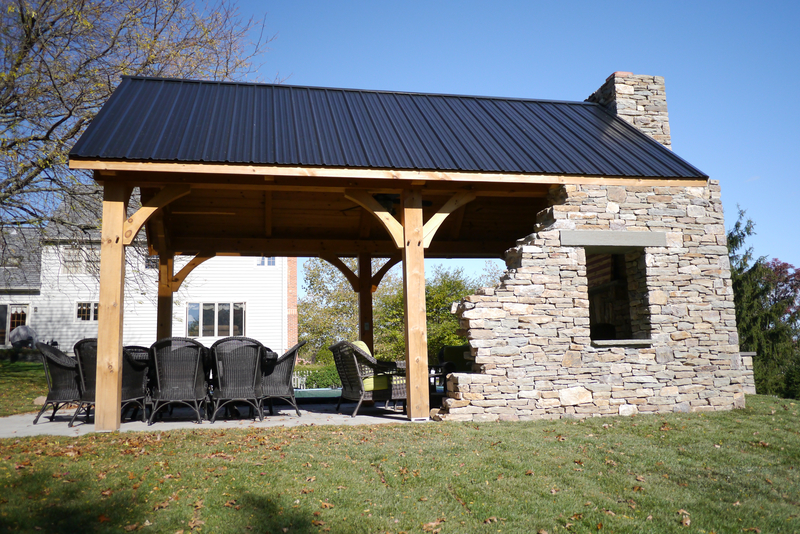 Available in custom sizes, a Timber Frame Pavilion can be built onto your existing patio or deck or it can be freestanding structure. With customizable options that range from a standing seam metal roof, to a basic electrical package and endless possibilites, in between. Add a Timber Frame to your landscape for an elegant backdrop for all of your family gatherings. 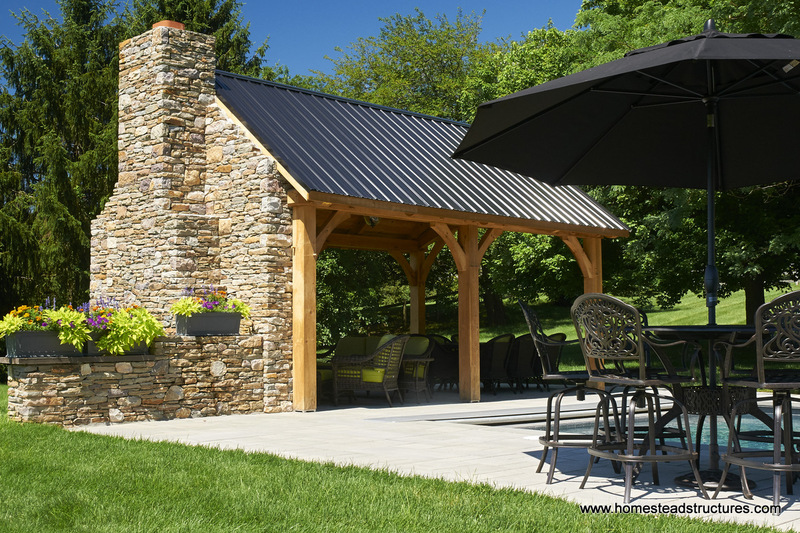 With our in house design team Homestead can custom design the Pavilion that is perfectly suited to you. Architectural drawings and 3-D renderings can help you visualize how your Pavilion can enhance your relaxation time. Why Choose a Timber Frame Building? 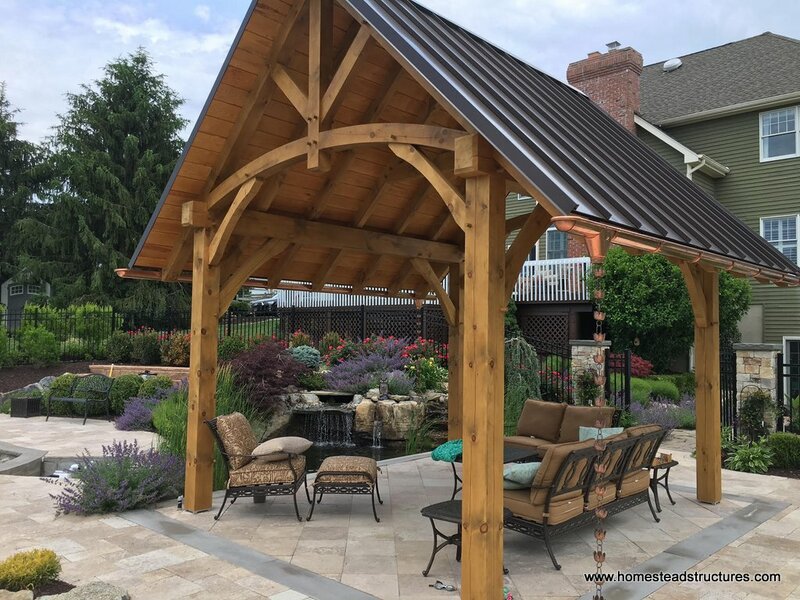 Style - If you love the rustic look for your outdoor living space, this beautiful, handcrafted style of pavilion is the perfect style for you. Plus, you'll love the look of the timber as it ages and develops checks and cracks, giving your yard a true natural appeal. Sustainability - We mostly use Eastern White Pine for our timber frame structures - it's a very renewable resource and leaves a smaller environmental footprint. We can also use cedar and other durable softwoods of your choice. 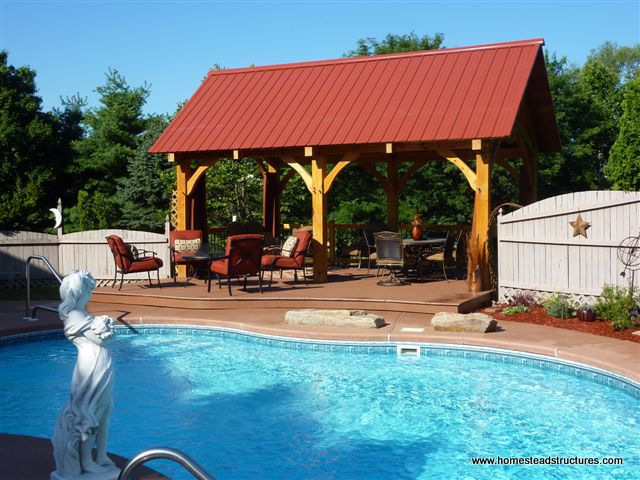 Artistic Tradition - Our Amish-built pavilions are handcrafted and constructed using mortise & tenon joints, a time-honored and traditional building method in timber frame structures. It's like adding a historical work of art to your backyard! Strength & Durability - If you want a structure that will last for decades (in some cases, centuries!) and weather well, timber-frame is a great option and Eastern White Pine is an espcecially tough and versatile wood. It's light but strong, doesn't shrink as much when treated and has a strong cross-grain fiber to prevent the wood from checking too much.